Mossy rocks span the landscape where the McLean Falls drops from 22-meters height, along the Southern Scenic Route in the Catlins on the South Island of New Zealand. McLean Falls is a favorite travel destination amongst many of the visitors who tour the Catlins on the South Island of New Zealand. 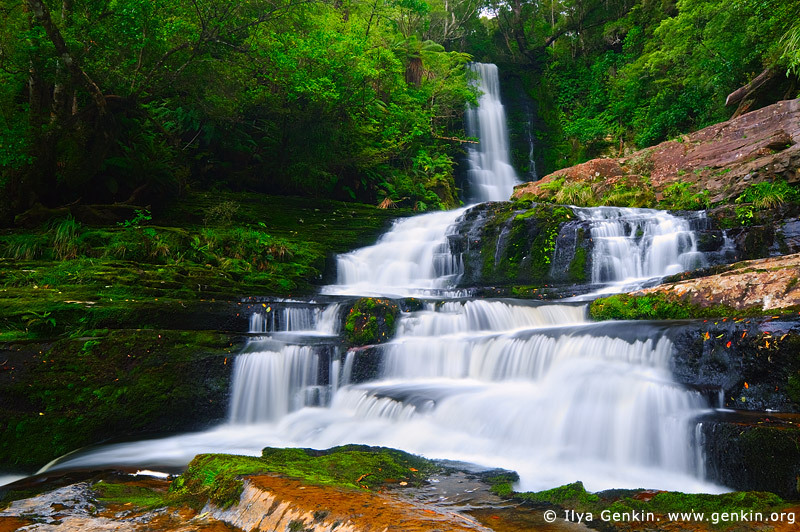 This image id NZ-MCLEAN-FALLS-0004 of Upper McLean Falls, is copyrighted © by Ilya Genkin. This is not a public domain image.